Comments from U.S. Rep. Cathy McMorris Rodgers about the future of the Affordable Care Act published last week have incited a firestorm of criticism among right-leaning media outlets suggesting surrender by the GOP. In an unrecorded interview with a reporter, two opinion-page editors and the publisher of The Spokesman-Review on Thursday, McMorris Rodgers was asked whether the news that 600,000 Washington residents had signed up for new health care plans through the state exchange signaled that “Obamacare” was here to stay. “Probably,” the five-term congresswoman and chairwoman of the House Republican Conference said. She then laid out ways in which those exchanges could be reformed in order to provide what she called greater choice for consumers, many of which would require major reforms to President Barack Obama’s signature health care law. The resulting story was published Friday inside the Northwest section of The Spokesman-Review. It was picked up by right-leaning news aggregator “Drudge Report” Saturday, prompting a flurry of responses as Congress returned to session. “As was made abundantly clear in the interview, the Congresswoman believes Obamacare’s government-centered, one-size-fits-all approach is not working, and will never work on multiple fronts, which is why she has voted numerous times to repeal it and will continue to work to repeal it at every opportunity,” a spokeswoman said in a written statement. News outlets across the country pounced on the language included in the headline and article, many of them writing to an audience of GOP voters. A Gallup poll released earlier this month showed that a majority – 51 percent – of Republican voters believed the Affordable Care Act would have a negative effect in the long run on individuals and their families, while 39 percent of independent voters thought the same. About the same percentage of independent voters said the law would have no effect, with 43 percent of Republican voters agreeing. Townhall, a conservative newsmagazine, asked in its headline whether McMorris Rodgers’ statements and those made by Sen. Rand Paul of Kentucky signaled the GOP was “giving up on repealing Obamacare.” Others linked the statements made by McMorris Rodgers to an apparent fatalism in the party going into the 2016 presidential election. “What McMorris Rodgers, or any Republican, is really saying when she says that Obamacare is unlikely to be repealed: she’s saying Republicans are unlikely to beat Hillary Clinton,” wrote Ben Domenech of the Federalist, a Web magazine with a limited-government tone. Left-leaning outlets have also sought meaning in McMorris Rodgers’ words. Self-proclaimed progressive TV outlet MSNBC said McMorris Rodgers’ statements and those of House Speaker John Boehner have left the GOP “scrambling” on immigration and the health care law. 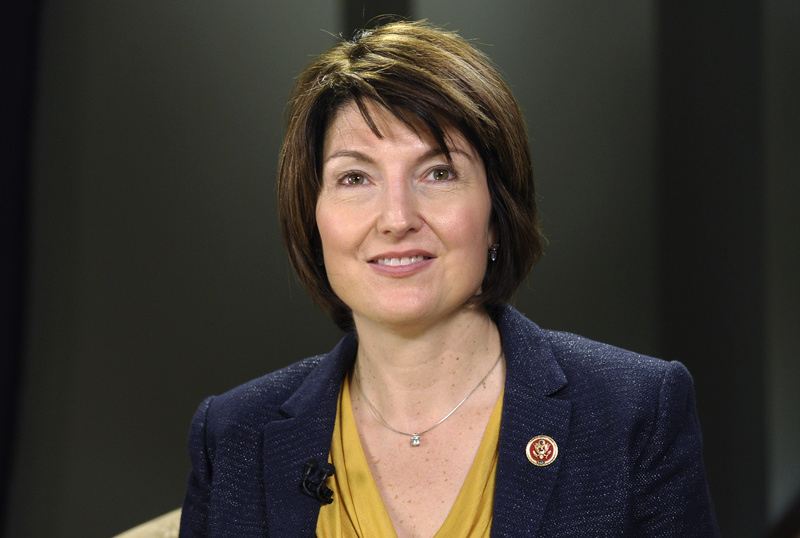 McMorris Rodgers, the highest-ranking woman in House GOP leadership, has sponsored or cosponsored at least 10 bills in the current Congress to change or repeal parts of the health care law.